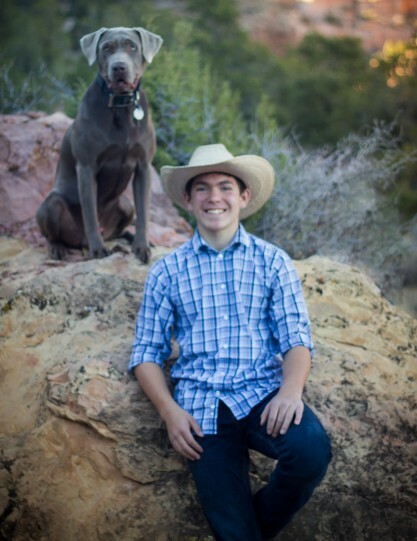 Our little Spiderman, Justin Ron Meacham, 16, has left this world to be with his Father in Heaven and Savior Jesus Christ on Monday, February 11, 2019 in Orem. Justin was born on October 29, 2002 in Reno Nevada. Justin is the son of Robert Jay Meacham and DeAnna Rhoades Meacham, and Tasha Dawn Gibson. Grandson of Ron and Florine Meacham, Aaron and JoAnna Rhoades, and Theresa and the late Jerry Veater. Justin is the brother to Alexis Nicole Powell, Ryder Von Meacham, Marshall Robert Meacham, Hunter Aaron Meacham, and Jackson Kruz Gibson. Justin was a friend to everyone. Always caring about others before himself. He loves music, playing his guitars, singing, and dancing. He loves his brothers and sister and always tried to be the best example for them. Justin loved to dress up, he loved being the super hero and the villain. He was always trying to put a smile on your face and make you happy! Justin loved to be with his families and his friends. Justin loved riding dirt bikes, mountain bikes, playing music, hanging with his friends, working out, wrestling, hunting ducks or deer, fishing in Island Park, playing in the water, boating, tubing, and teaching his siblings how to do something new. Justin loved animals and reptiles. He would name everything he caught and wanted to keep them forever. Justin was a tender-hearted boy with so much love to go around. He loved to be around others and make them laugh and smile. He wanted others to have as much fun as he was having. He was always concerned for other’s well being before his own. He loves his siblings so much and would do anything for them. Justin is, and always will be, a guardian angel for many! He will be truly missed here on Earth but will not be forgotten.